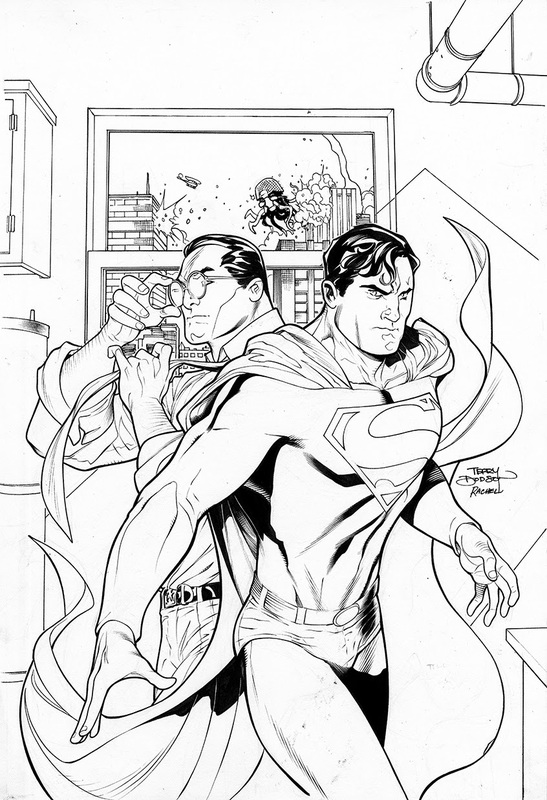 Pretty fun assignment for DC COMICS, a variant cover SUPERMAN UNCHAINED #2, featuring the John Byrne Modern Age era Superman, the only Superman comics I read regularly. 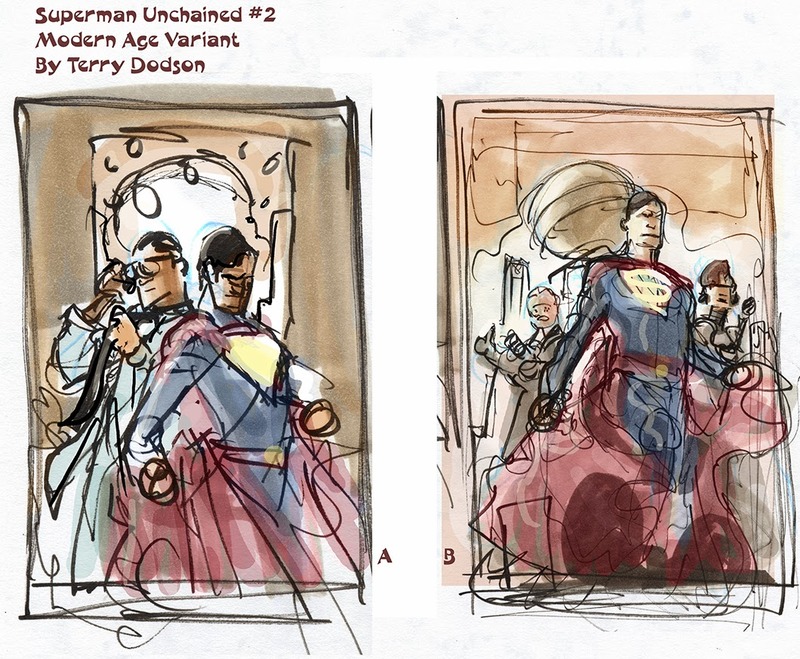 The cover sketches I sent to Editor Chris Conroy at DC COMICS for approval. 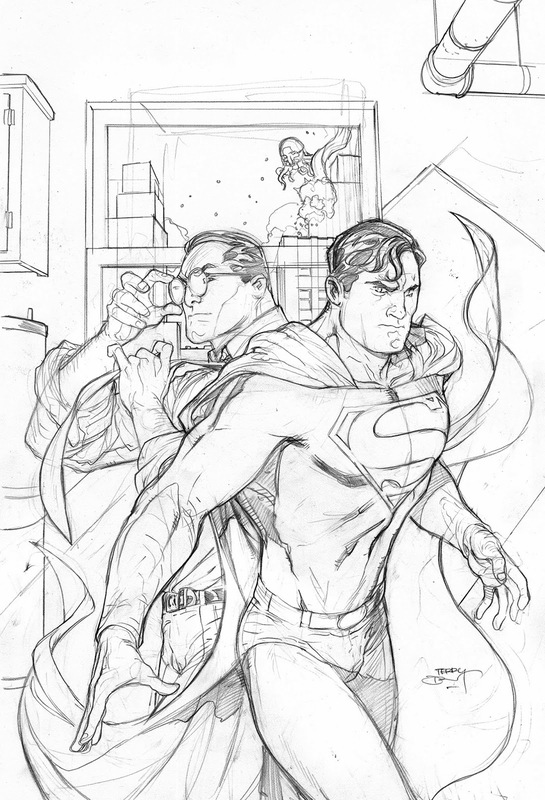 Two ideas - one Clark turning into Supes and then one with Supes, Jimmy and Lois. Cover A was picked! 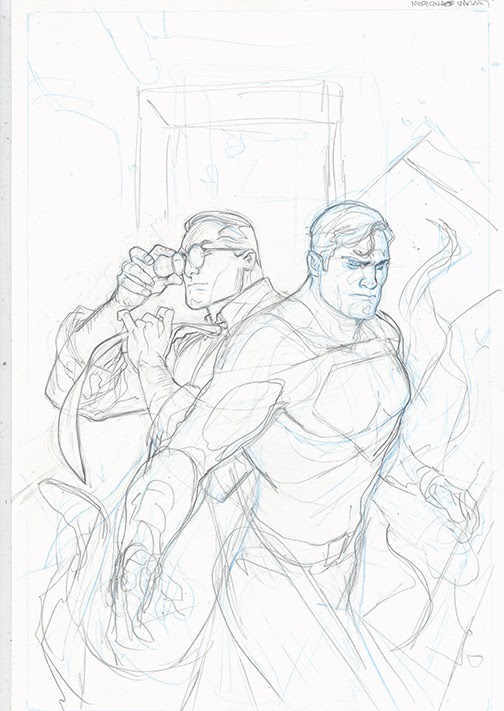 Initial pencils - drawn in Light Blue and HB lead on 12 x 18 Bristol Board. 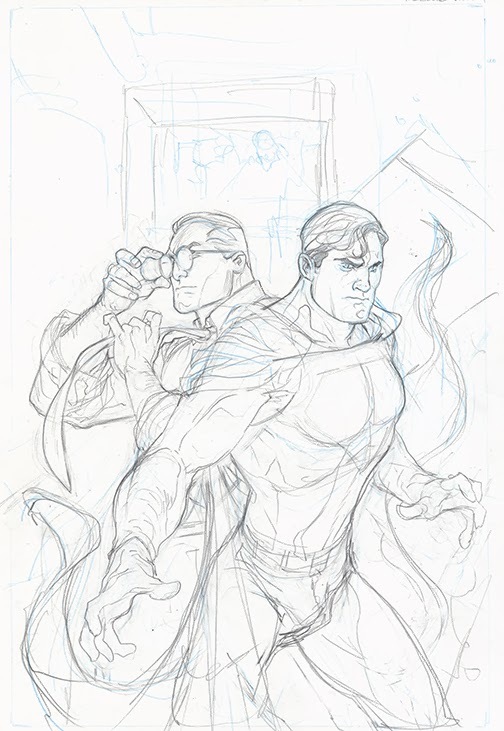 Was trying to figure out a crisis for Superman to react to outside the store room window. Working out the cape and details. Editor Chris Conroy got back to me with Brainiac and so I roughed him in here. Finally got him down here in the final pencils. Rachel Dodson's initial inks on the art. Rachel likes to start with foreground elements and then work backwards. Rachel uses a Windsor Newton Series 7 Kolinsky Sable #2 Brush and Higgins Black Magic ink, plus a little tech pen and croquille for the straight lines. 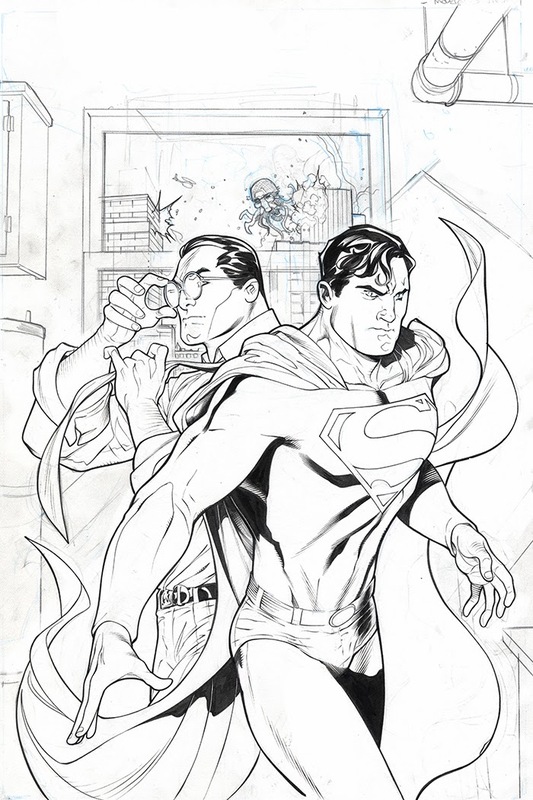 The inks finished and cleaned up in Photoshop. Hey Terry the cover looks awesome. 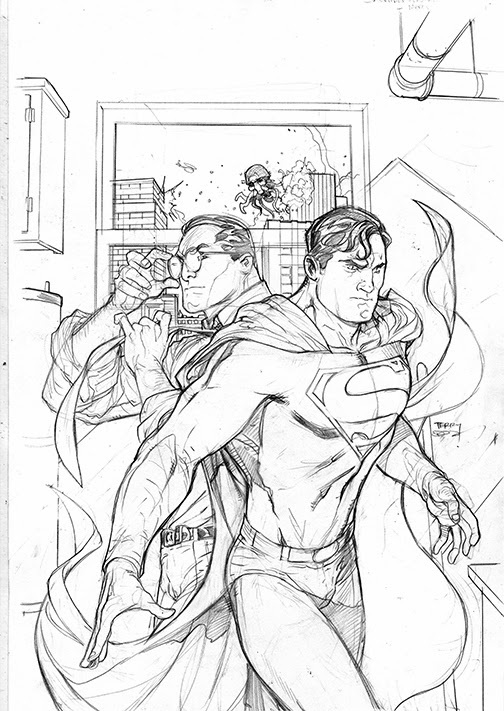 The link to the final inks image isn't working for me however.